Step 1: From www.24hourflex.com take your mouse over to EMPLOYERS and a small window should appear. 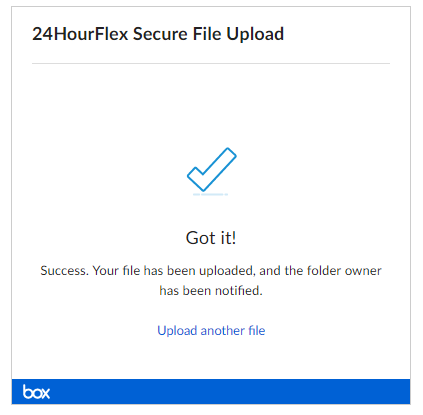 In the new window, select SECURE FILE TRANSFER. Step 3: Locate the file you wish to upload. You will then select the file and click the OPEN button. 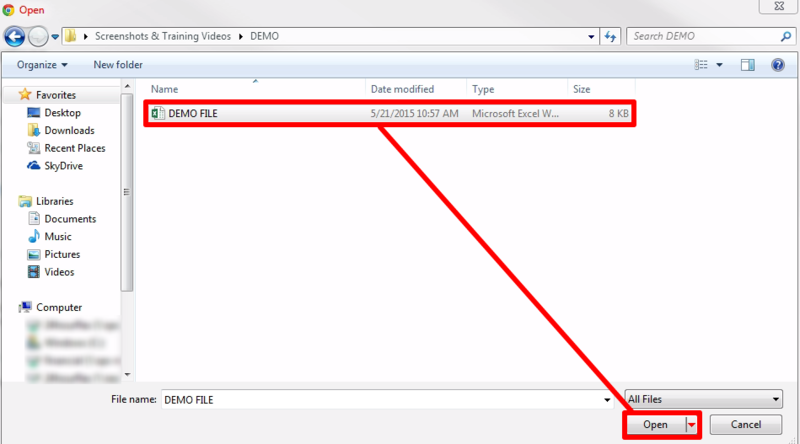 Step 4: You should now see the selected file name listed. 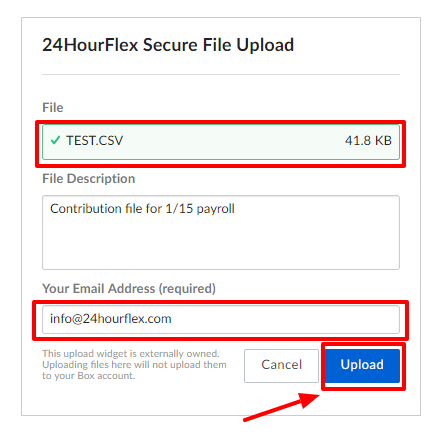 Add your email address, and then click the UPLOAD button. Step 5: Success! You may now upload another file, or continue on with your wonderful day. 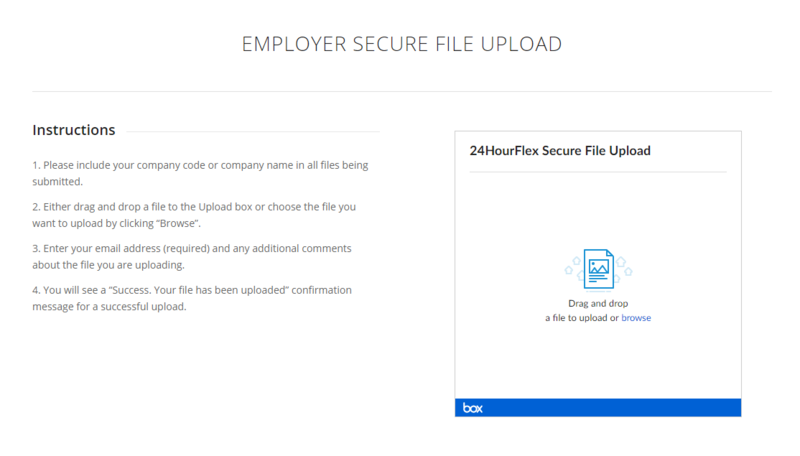 Other Helpful Topics: Upload Files, Import File Templates/Help, Add an Employee and Election, Term. an Employee, Reports, Employer Portal: Overview.